If you get convicted of a crime in Radnor, PA, you could end up going to jail, paying a substantial fine, and having a criminal record that haunts you for years to come, preventing you from getting the job, house, or apartment you want. A criminal defense lawyer in Radnor, PA can help you beat the charge and keep it from upending your life. At the McKenzie Law Firm, P.C., our team is led by David McKenzie, a criminal defense lawyer who spent years working for the other side, prosecuting cases in Pennsylvania. He uses the knowledge he gained to fight for his clients’ rights and uphold the presumption of innocence. We want to put our resources to work for you and help you move past the charges you are facing. For a free consultation, call us at 610-680-7842. The McKenzie Law Firm, P.C. team has helped clients prevail against a wide array of criminal charges, both misdemeanors and felonies. No matter your situation, we are eager to hear from you, and we will build a strong and thorough defense on your behalf. Even a first offense with a relatively low blood alcohol content (BAC) can result in fines, jail time, and the loss of your driver’s license. With a DUI on your record, you may have trouble finding affordable car insurance. The McKenzie Law Firm, P.C. fights to help you beat your DUI, either by creating enough doubt in the prosecution’s case to have the charges dropped or by working a deal with the prosecutor to reduce the charges to something less serious, such as reckless or careless driving. When it comes to drugs, Pennsylvania is not a liberal state. You can face jail time and heavy fines in Pennsylvania for possessing even a small quantity of an illegal drug or a controlled substance without a prescription. Even if it is your first offense, you could still go to jail if you do not have a strong defense. Selling drugs is a felony in Pennsylvania, and you do not have to be caught in the act to get convicted. The state’s drug laws have an “intent to deliver” provision that applies to those caught with more than a certain quantity of a drug or trying to traffic drugs across state lines. A theft charge in Pennsylvania can land you in jail even if the value of the stolen property is less than $50. In fact, you do not even have to steal tangible goods to get convicted of theft in Pennsylvania. Theft of service, which carries the same penalties, applies to the stealing of cable, internet, and other such products. McKenzie Law Firm, P.C. can defend you against theft charges in Radnor, PA, as well as against charges of shoplifting or burglary. 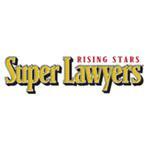 Having a strong defense team on your side is essential when facing white-collar charges. To set up a free consultation and case evaluation with a member of the McKenzie Law Firm, P.C. team, call 610-680-7842 today. McKenzie Law Firm, P.C. is a Pennsylvania criminal defense firm that can help you get past criminal charges and move forward with your life. Before you hire us, we want you to have confidence in our abilities and our defense strategy. That is why we offer a free, no-risk consultation, giving you the chance to discuss your case with us and learn what you can expect in the days and weeks to come. A critical skill in any defense lawyer is knowing how to work with the other side — when to cooperate, and when to push back and be aggressive. Having worked as a prosecutor himself for many years, David McKenzie understands what to expect and how to handle them. We want you to feel as if you are the only client on our caseload. Our support staff is a phone call away, always willing to provide personal client support. If you have a question or concern at any point in the process, they are eager to hear from you. 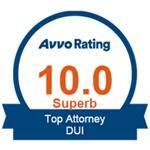 Get Help from a Criminal Defense Lawyer in Radnor, PA Today. Call 610-680-7842. If you are facing criminal charges in Radnor, PA, do not delay — call David McKenzie and his team for help. A criminal defense lawyer in Radnor, PA will fight for your rights and are eager to get to work. Call 610-680-7842 today.